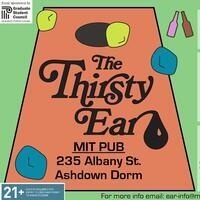 Join the Thirsty Ear Pub for snacks, lawn games, and delicious adult beverages. 21+ government ID and MIT affiliation required for entry to the pub. Beat the summer heat and enjoy some ice cream with us! We will be serving ice cream.